The Norwich University Regimental Band and Drill Team will perform at president-elect Donald Trump’s inauguration on Friday, January 20, in Washington, D.C. The university, home to the oldest collegiate band in the country, has been invited to perform at seven other inaugurations, most recently President Barack Obama’s in 2013. 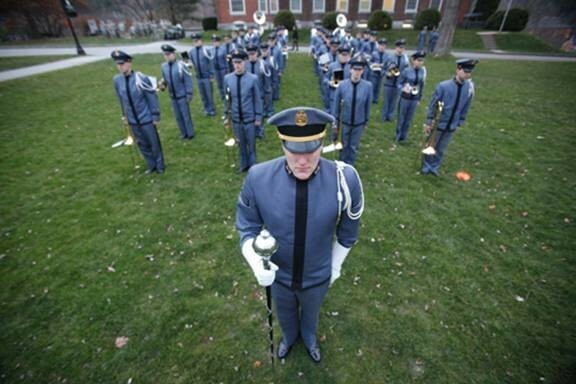 “The Norwich University Regimental Band and Drill Team is proud to represent the university and the State of Vermont,” assistant commandant and director of bands Todd P. Edwards said in a statement announcing the news. According to the inaugural parade committee, more than 8,000 people will march in the event marking the 58th presidential inauguration, including high school and university marching bands, equestrian corps, first responders and veterans’ groups. Trump has reportedly had a difficult time signing up bands to play at a “welcome celebration” to be held the night before the parade. According to an announcement from the inaugural committee, the band 3 Doors Down and country crooner Toby Keith will play the show. The inaugural committee picked one band from each state to perform at the event, according to Daphne Larkin, the assistant communications director at Norwich University. “I think it’s an honor to represent the state in this historic event,” Larkin told Seven Days.